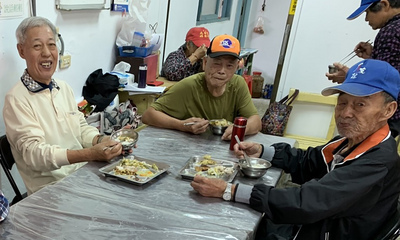 Taipei, July 17 (CNA) Up to 10 unaccounted for Indonesian migrant workers have been arrested in New Taipei's Tucheng District, according to a press release issued Tuesday by Keelung City Police Bureau's Fourth Precinct. The police made the arrests a day earlier after having received information that numerous unaccounted for migrant workers were hiding out in an apartment in the district, the press release said. Twenty officers were dispatched to the apartment and arrested nine women and one man, the press release said. They were transfered to the National Immigration Agency's Keelung City Brigade after questioning. It was found that all 10 ran away from their original employers and ended up working illegally as caregivers or factory workers. A police officer familiar with the case told CNA that the migrant workers made NT$1,600 (US$52) per day and gave NT$300 to an illegal broker who arranged jobs for them. The illegal broker has been identified and will be notified to report to the police for an investigation into human trafficking and labor exploitation, the press release noted.